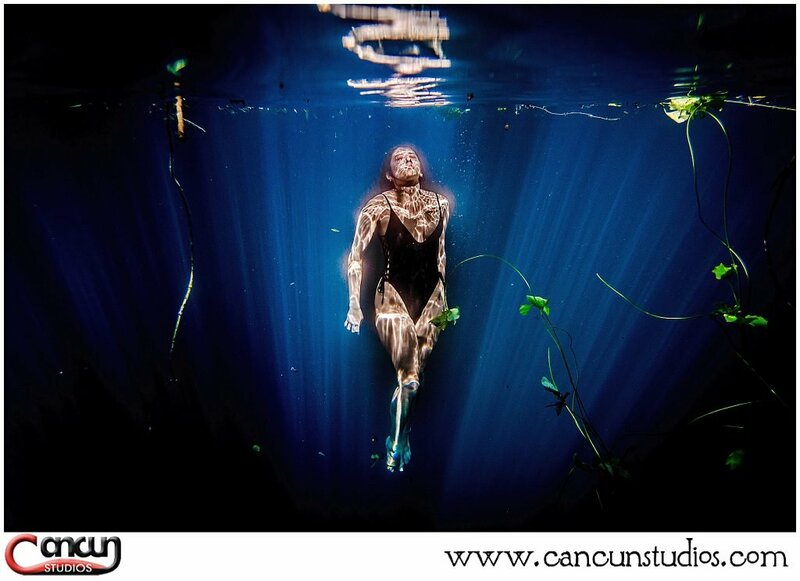 What type of cenote to select for underwater photography? A cenote is also known as a xenote or sinkhole. Cenotes are pools or bodies of water exposed from the collapse of rock formations. 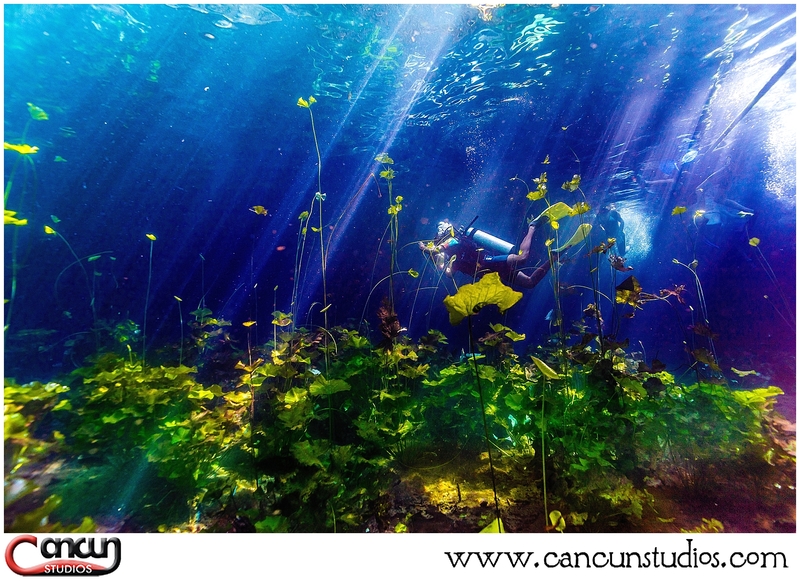 Cenotes have become very popular for underwater photography. We recommend open Cenotes, which are the Cenotes that offer a pool of crystal water with shallow areas and rock formations. Lots of elements go hand in hand to select the best cenote for underwater photography, clarity of the water, depth of the cenote, rock formations, etc. 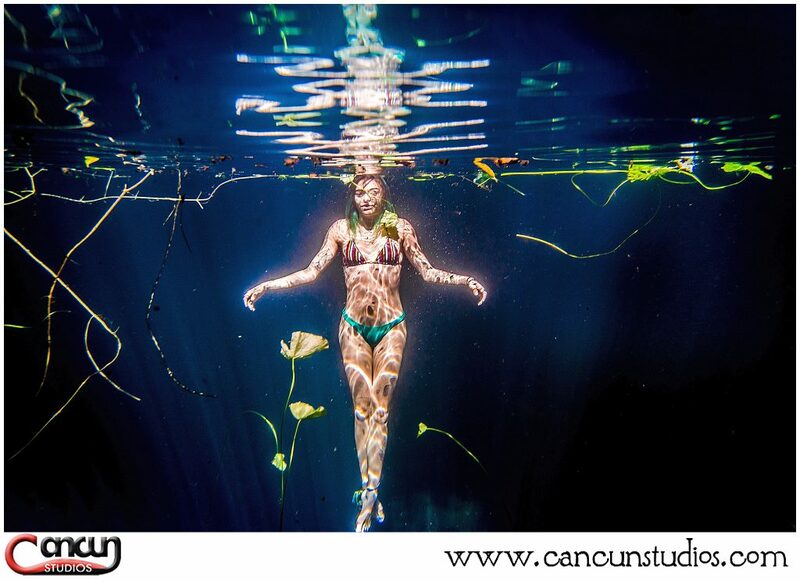 Open cenotes are the best cenotes for a trash the dress underwater photography session. 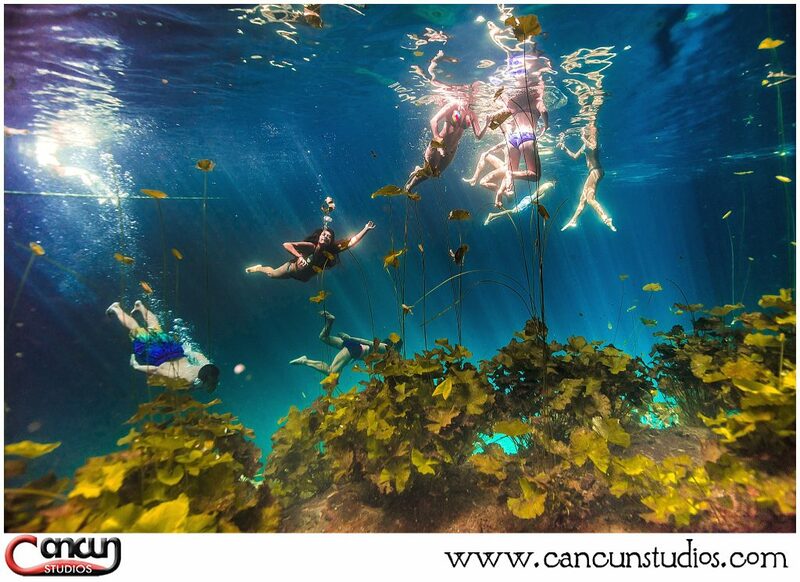 The open cenotes provide shallow water areas with rocks on the bottom so easy swimming is accessible. The sun light that covers the open cenotes cast beautiful rays to the photographs and it also light up the subjects to be photographed, the rocks in the bottom of the cenote become soft boxes, bouncing light back to the subjects and making beautiful portraiture. For non-swimmers, not to worry since open cenotes have shallow areas where you can easily submerge yourself holding from a rock and have amazing underwater photography. You don’t need to know how to swim! We will guide you with the best techniques for achieving the best photos. On your next vacation to Cancun, Riviera Maya or Tulum, don’t miss out on exploring and having an underwater photography session.